This entry was posted in test on October 24, 2018 by admin. This entry was posted in Health Food, Reflexology on July 9, 2018 by admin. Factory Outlet! “Australian Outback Opals” Group specialises only in Opal and work in conjunction with Opal miners from all opal mining areas in Australia. Australia is world renowned for its gem quality Opals, generating 94% of the world’s opal production. Opals are found in very small pockets in the Australian outback. This entry was posted in Attractions, Curtis Falls Corner Shopping Precinct, More Attractions, Shopping on July 9, 2018 by admin. 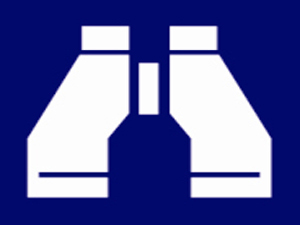 This entry was posted in Accommodation on July 7, 2018 by admin. 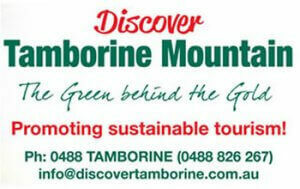 Mount Tamborine – Experience another side of what SEQ offers. 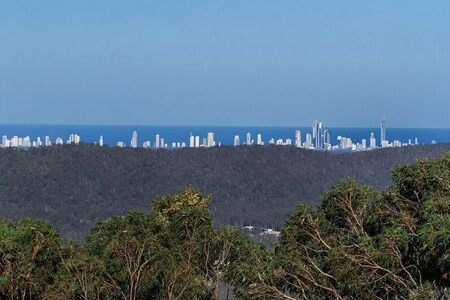 Located about 70 kms away from the city of Brisbane, up the hill behind the Gold Coast. it offers a myriad of experiences to attract visitors. 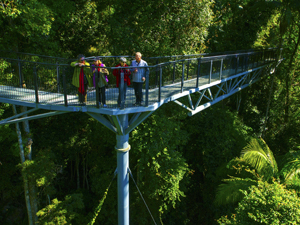 Whether it is the spectacular rainforest scenery of the “Tamborine Rainforest Skywalk”, visiting the vineyards, wineries and the “Tamborine Mountain Distillery”, exploring the “Tamborine Glow Worm Caves”, shopping on Gallery Walk or visiting the always exciting “Thunderbird Park”, there are many Mount Tamborine attractions for you to experience. This entry was posted in Discover Tamborine on April 28, 2018 by admin. Top location at the upper “Fig Tree” roundabout with full 180 Degrees high exposure on famous “Gallery Walk”. High exposure premises with long lease, great landlords and reasonable rent. Ample parking out front. Vintage Crafts is on the market for a fortunate person or partnership to own. 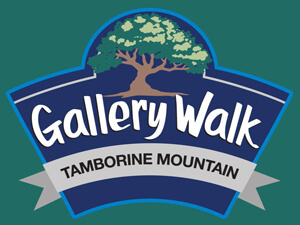 I have been operating this business for 9 years on the popular Gallery Walk precinct of Tamborine Mountain in the Gold Coast Hinterland and a further 3 years previously as a Party Plan business. 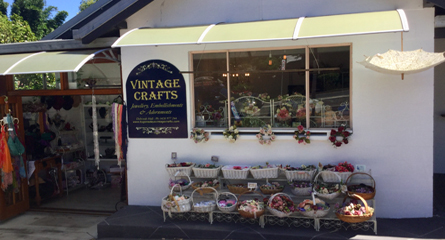 My business has just undergone a complete makeover with a relocation fronting the street of the busy Gallery Walk tourist destination on Tamborine Mountain. Cute new shop and signage with very reasonable rent and a 3 year lease with an option of 3 more years. I have just taken on new jewellery suppliers such as Mariana and Michel Negrin. I have many returning customer including local, statewide, national and even international who love the wide variety of craft supplies including beaded fringing, lace, millinery flowers, buttons, scrapbooking supplies and trims as well as many hand made items including hair accessories, lamp embellishments, home decor and jewellery. 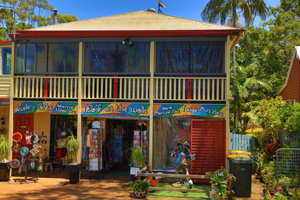 There is also scented products including Australian made soaps, MOR products, Nimbin candles etc. I also sell hats, gloves, scarves and other vintage style goodies. Drop in for a chat or send me a quick email to get us underway! Walk in / Walk out. Sale includes all stock, fixtures and fittings plus training for hand made items and workshops if needed. Also all advertising currently in place and paid for. Suppliers list with contacts and website. This entry was posted in Tourism Business For Sale on April 10, 2018 by admin. 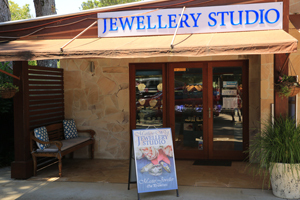 Situated with four other unique businesses right at the entrance to Gallery Walk at the Figtree Roundabout. 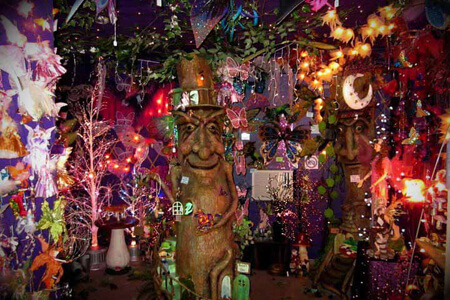 Our Ent welcomes you to come in and explore the most unusual shop on the walk. Here is an opportunity to invest in a one of a kind business with no local competition and a strong customer base from local interstate and overseas. 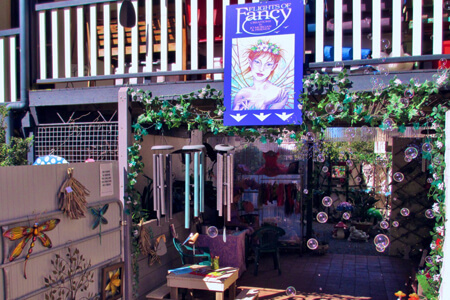 Established for 20 years, Flights of Fancy is both an attraction and a retail shop. 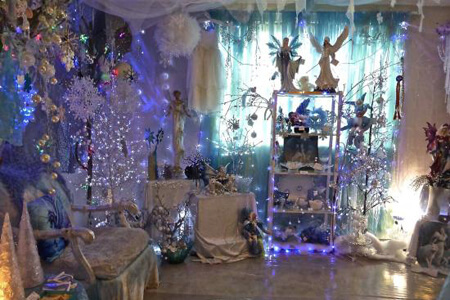 Featuring three feature rooms; The Illuminated Forest, The Ocean Room and Frozen Fantasy as well as two pleasant garden areas, courtyard and the main room, this shop offers far more than most. 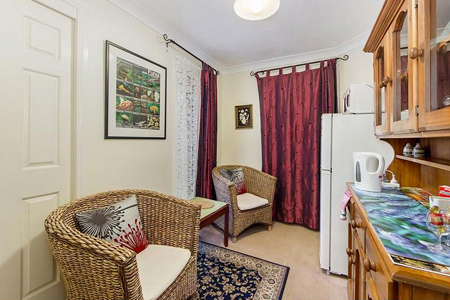 There is ample storage, a small kitchen area and toilet onsite so you are completely self contained. As well as the retail shop Flights of Fancy is well represented online with a website, facebook page, pinterest and instagram already set up. Other income streams are established. Our Fairy Parties, onsite and off-site Face Painting, Fairy letters and Fairytale Fun are frequently booked out. 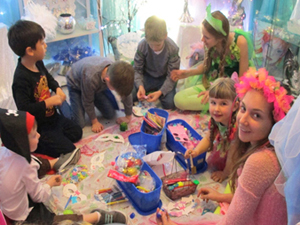 There is room for expansion into on-line shopping, adult fairy soirees and more to increase current turnover. 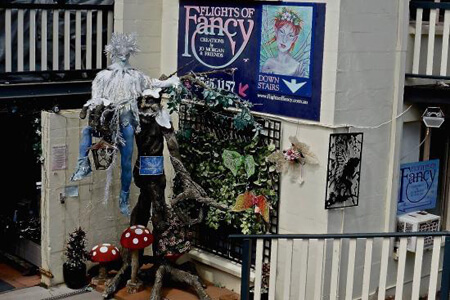 The lifestyle is stunning on Tamborine Mountain and the atmosphere at Flights of Fancy is a joy. Information and records are available and strong business management strategies are in place. 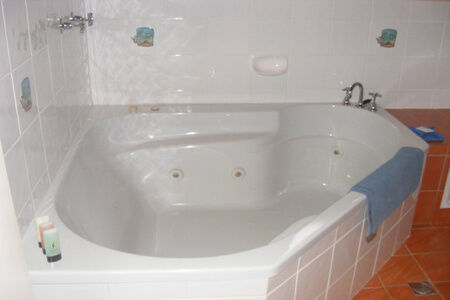 A three year lease is available to be arranged with the landlord. Rent is very reasonable for this amount of space on Gallery Walk and the Landlord keeps the premises looking great. Flights of Fancy is for sale on a walk in/walk out basis, all stock, fixtures and fittings included plus training and all advertising currently in place and paid for. Suppliers list with all contact details, customer email list, shop systems and staff training manuals. Purpose built and very popular. 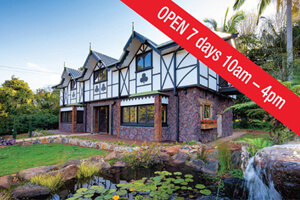 Established 16 years, situated on the border of Wongawallan and Eagle Heights on your way up from the Gold Coast via Oxenford. Great location with high exposure. 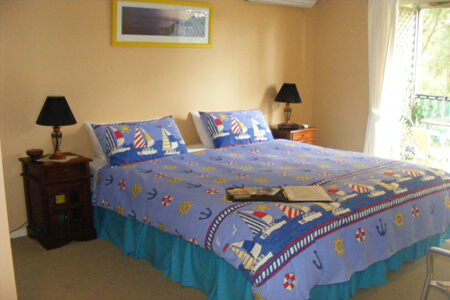 Four guest suites with private balconies and guest kitchenette. 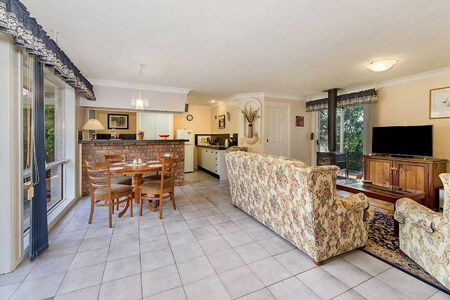 Verandahs with great mountaintop views, main kitchen and dining room plus guests’ sitting area with DVD library. Three bedroom and two bathroom owners wing with office and main kitchen plus three quarters of an acre of landscaped gardens. To be sold as a going concern, including all furnishings and fixtures, forward bookings, intellectual property and domain names, website and marketing material. Owners willing to train if required. 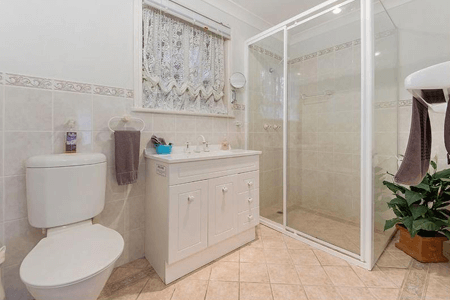 This entry was posted in Accommodation For Sale, Tourism Business For Sale on April 6, 2018 by admin. 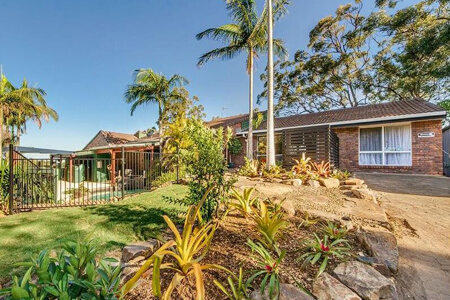 Solid brick residence/retreat B&B situated at the end of a quiet cul de sac on 1.25 acres with fabulous views overlooking the Hinterland to the Pacific Ocean. 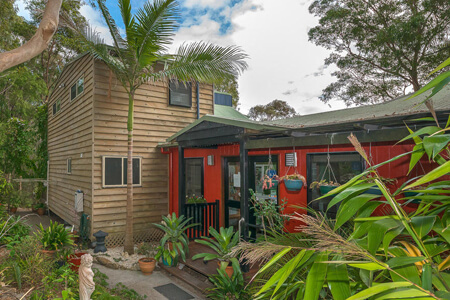 This property could be a large family home with dual accommodation plus a separate income-earning, fully self-contained 2 bedroom large cottage, hidden amongst the gum trees, with its own balcony and washing machine. 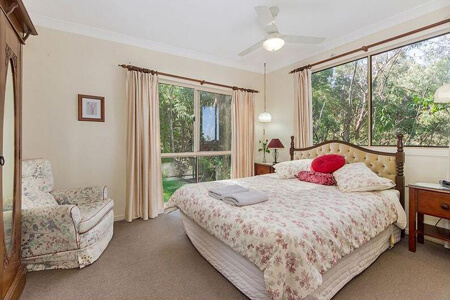 Alternatively the 2 bedroom family residence can be totally private from the B&B, with the self-contained Lyrebird Suite and Rose Room Suite attached. Extra features: Fans in all bedrooms, wood combustion fires, solar heated pool and separate spa, circular driveway, off street parking for 6 cars, easy-care gardens. Abundant bird life and koalas are all part of the charm. Current owners (retiring) have been running Hillside for 10yrs. Occupancy rate 50%+ (this could be increased), professional tuition available to purchasers and current owners are available as locums. 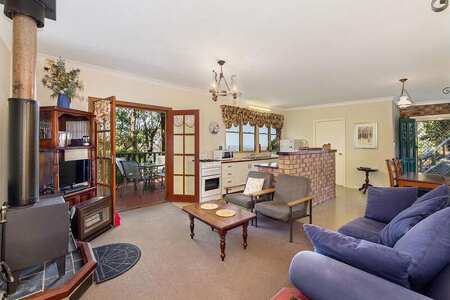 Sold as a going concern with chattels worth close to $90,000.00 incl. furniture, white goods, all kitchen utilities, linen, website, booking engine, booking channels, forward bookings etc. Sale by owner, Walk-in/Walk-out. Short or long term settlement and/or handover period as desired. Business can be adjusted to suit your personal requirements. All licenses are up to date. This entry was posted in Accommodation on January 23, 2018 by admin. Featuring the works of Maki Horanai and Hillel Weintraub! Maki is a committed artist, working with paint, ceramics and mixed media. 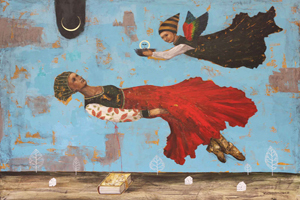 Her work is immediately identifiable in imagery and colour and evokes a strong emotional response. Hillel creates poetry and mixed media, inspired by nature and by Maki’s work. The new “Mountain Dreams Gallery and Gifts” is open 7 days a week by appointment. This entry was posted in Art Studios and Galleries and tagged Gallery and Artist Studios, Hillel Weintraub, Maki Horanai, Mountain Dreams Gallery on March 5, 2017 by admin. …at Cedar Creek Estate Vineyard and Winery! 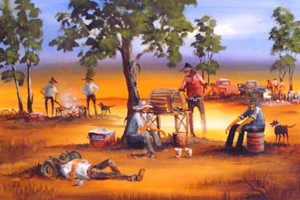 Arthur Hamblin as an artist owes much to the experiences and characters he has seen in the Australian outback. Australian country life, stock-men, cattle, horses, camels and bird life are his subjects. His paintings show the heat, vast space and color of the outback. View the comprehensive collection of his iconic paintings at Cedar Creek Estate, open 7 days a week! This entry was posted in Art Studios and Galleries and tagged art gallery, Arthur Hamblin, Cedar Creek Estate Vineyard & Winery on March 5, 2017 by admin. Contemporary Paintings and Glass Works! 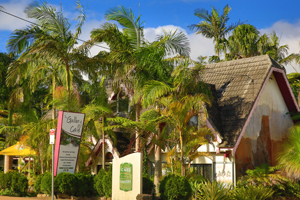 “Margaret Goldsmith Art Gallery” has been operating on the property since 1994, amidst an orchard & beautiful gardens with superb views of the Gold Coast. You will find a large display of her Paintings and Studio Art Glass (kiln fired) which she and her husband Neil have been creating for 20 years. Open Thu to Sun 10am till 4pm. This entry was posted in Art Studios and Galleries and tagged art gallery, Margaret Goldsmith, paintings, Tamborine Artworks on March 3, 2017 by admin. Australia’s most-awarded distillery and liquor brand in the new millennium! 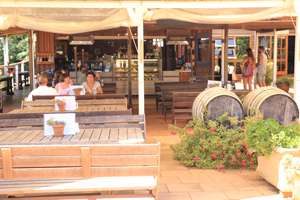 One of the most sought out destinations on Tamborine Mountain is the “Tamborine Mountain Distillery”. 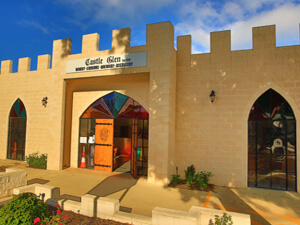 This is Australia’s smallest operating Pot Still Distillery, but of world renown, and attracts visitors from Europe, America, Canada, New Zealand and Asia. This entry was posted in Distilleries, Wineries Distilleries and Breweries and tagged distillery, Liquor, Tamborine, Tamborine Mountain, Tamborine Mountain Distillery on January 1, 2017 by admin. Specialising in small group, limousine-style winery tours! “Prestige Winery Day Tours” offers more than just a winery tour with additional sightseeing and shopping opportunities. After pick up from Brisbane CBD, we will ensure that your day is comfortable, relaxed and memorable for all the right reasons. 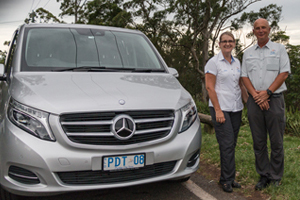 Local pick up and drop off from Tamborine or the Gold Coast can also be arranged. This entry was posted in Winery Tours on March 11, 2016 by admin. Specialising in small group, limousine-style tours! “Prestige Day Tours” also offers alternatives to winery tours with additional sightseeing and shopping opportunities. After pick up from Brisbane CBD, we will ensure that your day is comfortable, relaxed and memorable for all the right reasons. 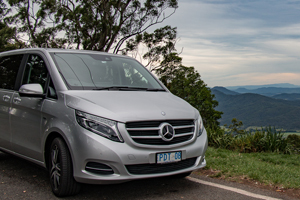 Local pick up and drop off from Tamborine or the Gold Coast can also be arranged. 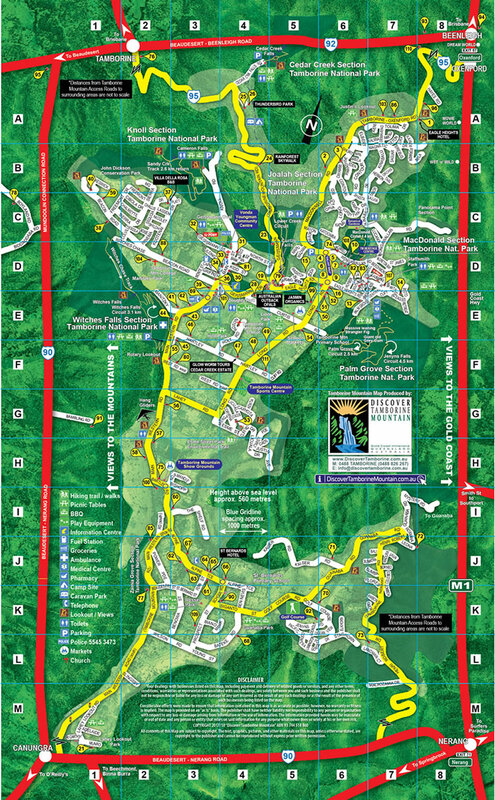 This entry was posted in Day Tours, Transfers / Sightseeing and tagged National Park, Tamborine Tours, the green behind the gold, winery tours on March 10, 2016 by admin. 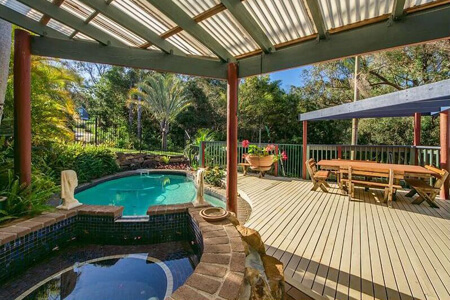 Mount Tamborine is an exciting option for that perfect getaway you have always been looking for. 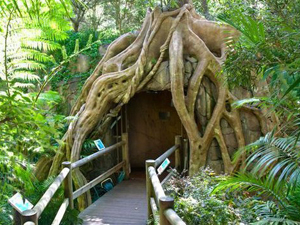 Located about 70 kms away from the city of Brisbane, it offers a myriad of options to attract the visitors. Whether it is about trying out the “Tamborine Rainforest Skywalk” in the beautiful Tamborine rain forests, accepting a “Treetop Challenge”, visiting the vineyards, wineries and the “Tamborine Mountain Distillery”, exploring the “Tamborine Glow Worm Caves” or visiting the always exciting “Thunderbird Park”, there are many Mount Tamborine attractions for you to discover. 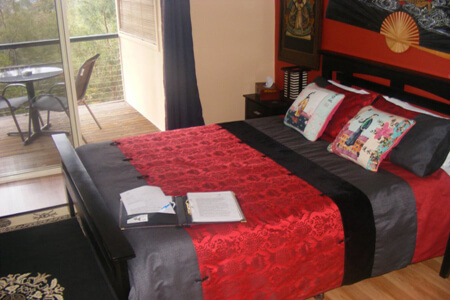 If you are wondering about the accommodation options at Mount Tamborine – no worries! You will find some of the finest accommodation options and you can select one based on your budget and the features you are looking for. 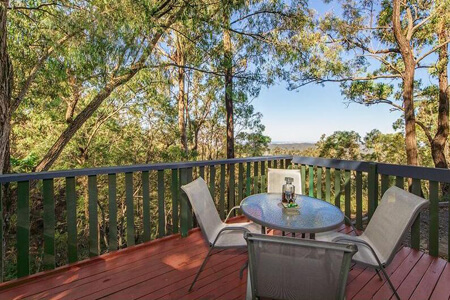 Mount Tamborine is the perfect destination for weekend getaways if you are looking for a perfect holiday destination with your partner or with your family. 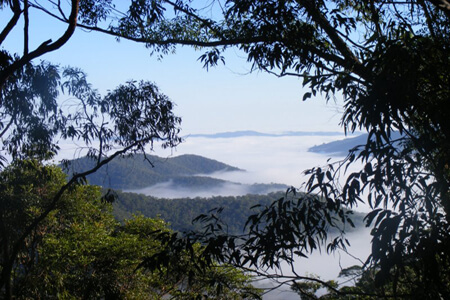 It is easy to understand why Mount Tamborine has become so popular with tourists. Its”Witches Chase National Park” is the third oldest in the entire world. You can see the remains of the extinct Mount Warning Volcano here. If you are interested in enjoying Mother Nature at its best, there are several lookouts and walks to choose from. Some of these are the popular “Cedar Creek Falls” and the ”Witches Falls”. There are a total of 12 walking tracks, each of them vary in length and difficulty, but all are easily managed by young and old. You will simply love taking a leisurely stroll amidst the ancient giant rainforest trees, admire the flowers and enjoy listening to the song of the birds. Enjoy your visit to the “Fortitude Brewery” and choose from one of the available fine restaurants for a delextable dinner. 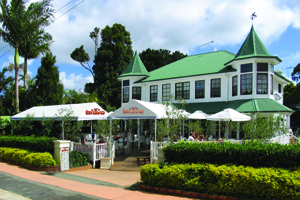 Savour home-grown macadamia nuts, kiwifruits and avocados or some award winning cheeses. 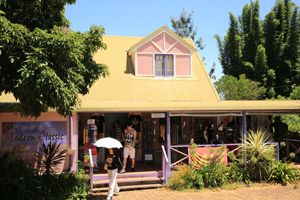 Enjoy the best of new-world and old charm on Tamborine Mountain. Don’t miss the “TM Wedding Expo” where over 50 local wedding service suppliers will exhibit, showcasing all the different aspects of the wedding industry. 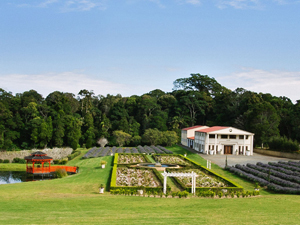 Mount Tamborine has become the preferred wedding destination for many young couples in the south eastern parts of Queensland. This entry was posted in new blogs on August 12, 2015 by admin. Our modern way of life with its many advantages also brings along the bane of various levels of stress to our lives. 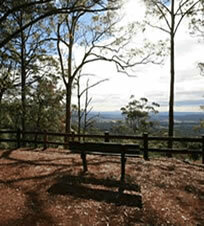 Mount Tamborine is the ideal place to relax your tired body and soul. This entry was posted in blog on March 24, 2015 by admin. How was Mount Tamborine formed? Mount Tamborine has a very interesting history that spans back millions of years, it is a remnant of a crater rim of a volcanic explosion that happened about 22 Million years ago. It lends its name to a cluster of three villages that have settled on the mountain ridge over the past years. 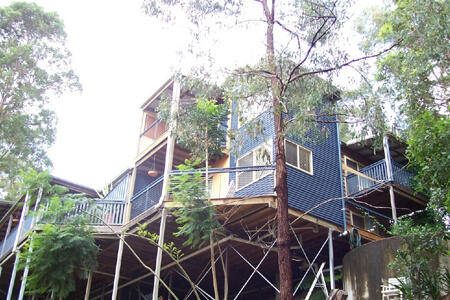 This entry was posted in blog and tagged Tamborine Mountain on March 15, 2015 by admin. Are you ready with a proper checklist of the mountain biking equipments for Mount Tamborine? For more information mountain biking – Click here! This entry was posted in blog on March 11, 2015 by admin. 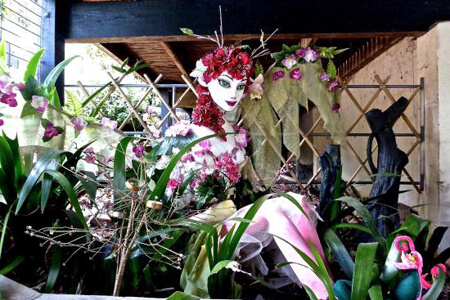 The Tamborine Mountain Scarecrow Festival is an annual event to celebrate the great lifestyle and enjoy. For more information read our blog. This entry was posted in blog on February 16, 2015 by admin. Want to get the actual feel of climbing a mountain and experience the benefits yourself. Read our blog, perform the exercise at your home or gym and feel the difference. This entry was posted in blog on February 13, 2015 by admin. 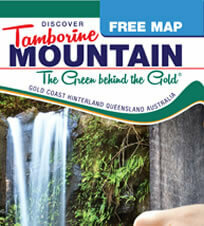 “Weather” rain, hail or shine – there is always something exciting to do when you “Discover Tamborine Mountain”! 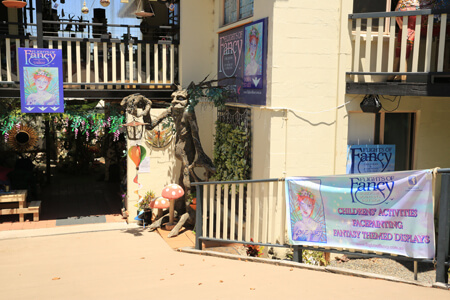 Visit the famous multi-award winning “Witches Chase Cheese Factory” – Explore the rainforest canopies at the “Tamborine Rainforest Skywalk” – Go underground at the “Tamborine Mountain Glow Worm Caves” – or stroll up and down famous “Gallery Walk” with its 60 + boutiques, cottage industries, cafes, art galleries etc. – and the list goes on! have to see to believe! The Green behind the Gold! ice creams on Gallery Walk! for kids of all ages! 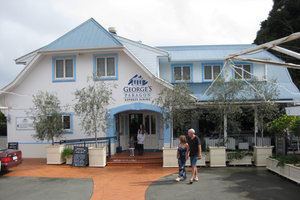 This entry was posted in Attractions and tagged absailing, activities, art galleries, boutiques, cafes, distillery, Gallery Walk, horse riding, mount tamborine, Tamborine Mountain on January 1, 2015 by admin. 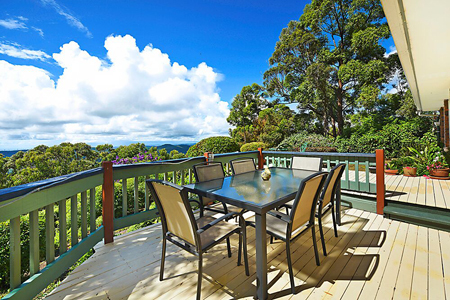 If you are planning a holiday of relaxation, then look no further because the Mount Tamborine wineries are your ultimate spot of luxury, relaxation and indulgence. This entry was posted in blog and tagged activities, Dining, Mt Tamborine, mt tamborine winery, restaurant, Tamborine, Tamborine Mountain, vineyard, Wine, winery on October 27, 2014 by admin. 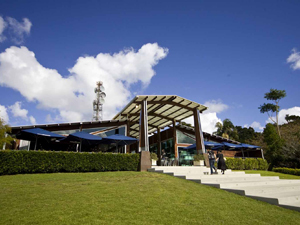 Tamborine Mountain Breweries – what makes them so special? Tamborine mountain beers. 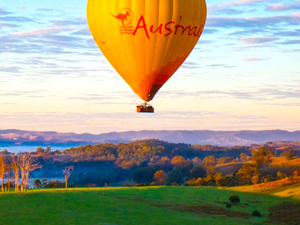 Enjoy the golden sparkle of a cool ale on the Gold Coast’s famous Scenic Rim. Time-revered methods and traditional techniques. This entry was posted in blog on August 20, 2014 by admin. 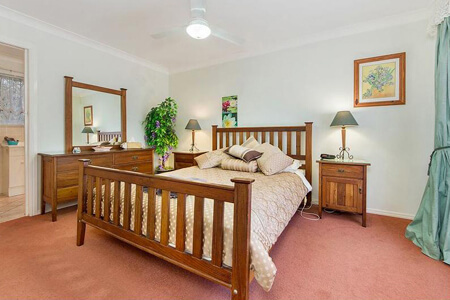 The variety of accommodation on Tamborine Mountain is endless – quiet mountain motels, elegant 5 star resorts, secluded rainforest retreats, a range of magnificent bed & breakfasts and romantic cottages, often with spa baths, log fires and breathtaking views invite you to relax, unwind and refresh! 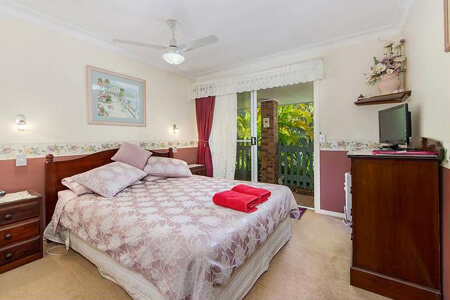 This entry was posted in Accommodation and tagged accommodation, bed and breakfast, gold coast hinterland, mount tamborine, Tamborine Mountain on August 1, 2014 by admin. Tamborine Botanic Gardens – a stretch of greenery that covers 11 hectares of the mountain, a slice of heaven where tropical meets temperate. This entry was posted in blog and tagged botanical garden, Gold Coast, national parks, Picnic Area, rainforest, Tamborine Mountain on July 7, 2014 by admin. 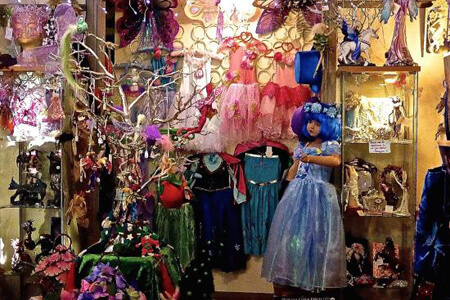 A destination in itself – An Emporium of Treasures! 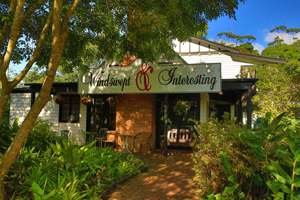 “Windswept & Interesting” is a World Class Boutique. Designer fashion from around the world at an affordable price. RM Williams and Antiques, Estate Jewellery, Antiques, Shoes, Accessories, and soooo much more. You will need a couple of hours to absorb the excitement and to experience a completely new concept in shopping. Once visited – NEVER forgotten. We also buy your antiques! See you soon! This entry was posted in Boutiques and Fashion, Gallery Walk, Gallery Walk East, Shopping on July 1, 2014 by admin. The trusted name in Jewellery! “Matthew West” has over 23 years experience as a jeweller, and offers a comprehensive jewellery repair and manufacturing service. 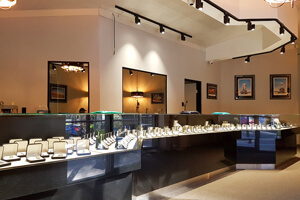 Come in to see an interesting array of fine jewellery in silver and gold, including exclusive, one of a kind pieces, designed and handmade on the premises. Open 7 days a week 10am through to 4pm. 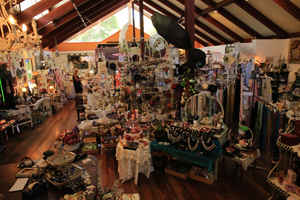 This entry was posted in Gallery Walk, Gallery Walk East and tagged Gallery Walk, Jewellery Studio, Matthew West, mount tamborine, Tamborine Shopping on July 1, 2014 by admin. 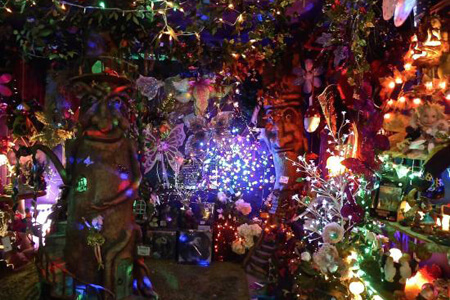 An unusual and eclectic book & gift shop! “Shon’s Lost For Words” is different and delightful! You will find books, music and gifts for mind, body and soul, pre loved novels, baby & toddlers gifts, clothing and books, cuddly soft toys, Nepalese artifacts, alpaca items and so much more! 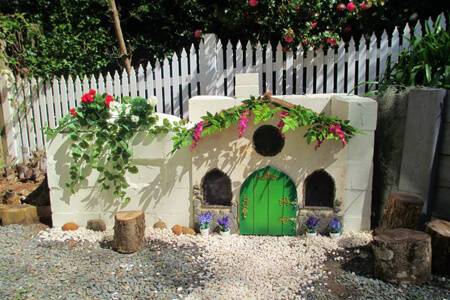 Take a little time to unearth a small treasure or simply enjoy browsing in a warm and tranquil atmosphere. Open 7 days a week 10am through to 4pm. This entry was posted in Gallery Walk, Gallery Walk West and tagged Gallery Walk, gold coast hinterland, Shon's Lost for Words, visit Tamborine Mountain on July 1, 2014 by admin. Quality local and investment art! 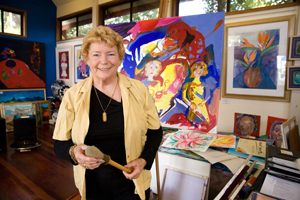 “Capanart Gallery” resident artist Susan Capan has been painting for over 25 years. Whilst portraiture predominates, visitors are often amazed at the range of subjects Susan paints. Also quality art from handpicked local and investment artists, showcasing paintings to suit all tastes and budgets. Commissions available of portraits, landscapes and other subjects. Open 7 days. This entry was posted in Gallery Walk, Gallery Walk East and tagged Artist Studios, Capanart Gallery, Discover Tamborine Mountain, Gallery Walk on July 1, 2014 by admin. Tibetan and Nepalese Handicraft! “Tulku Designs” is owned and operated by Junu Roesing. 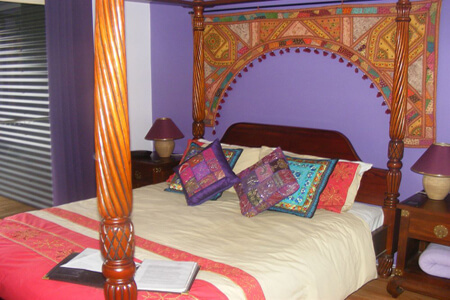 For over 2 decades Junu has been involved in Nepalese Arts and Crafts. Her aim is to provide quality and unusual Crafts from Nepal and Tibet, while supporting local charities in Nepal. Tulku is the sole importer and distributor of Laxmi Woodcraft Buttons. Open Thursdays through to Mondays from 10 am to 4pm. This entry was posted in Gallery Walk, Gallery Walk West and tagged Gallery Walk, nepalese art, shopping tamborine, tulku designs on July 1, 2014 by admin. Cafe and Art Gallery! “The Gallery Cafe” is a true icon on “Gallery Walk”. The internal timber architecture is breathtaking. The large indoor cafe / restaurant can has room inside for up to 70 visitors, serving light lunches, delicious cakes and a whole lot more. The garden seating provides extra space and makes for an ideal meal outside, enjoying the sunshine and soaking in the atmosphere. 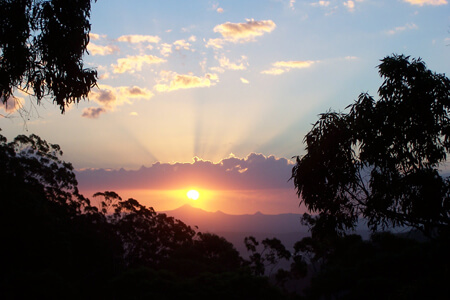 This entry was posted in Gallery Walk, Gallery Walk East and tagged Discover Tamborine Mountain, Eating Out, Gallery Walk, Mt Tamborine on July 1, 2014 by admin. Come and be delighted! A wonderful range of eclectic products ranging from “Hand Made”, “Vintage”, “Antique and Collectable” and a vast range of newly sourced items with an “Old World “ charm. 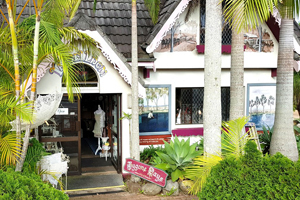 At “Bygone Days”, you will find, nostalgic décor products, exotic embellishments, soaps, candles, jeweler, beautiful linen, English made lace, unique crockery and flowers. Open every day from 10am to 4pm. This entry was posted in Gallery Walk, Gallery Walk East and tagged Bygone Days, Home Made, Treasures, Vintage Craft on July 1, 2014 by admin. Local handcraft extraordinaire! Local handcraft extraordinaire! Everything you find at the “The Quillow Shop” is locally handcrafted by 5 ladies – hand crocheted, hand knitted, hand sewn and handmade! 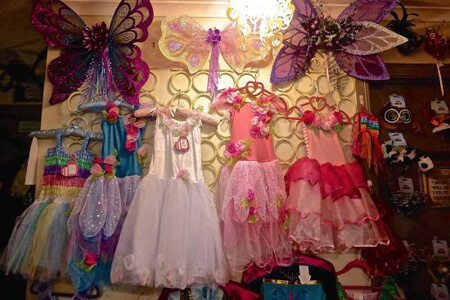 A huge range of quillows, crochet doilies, baby’s clothing, ponchos and capes, hats and beanies, children’s toys, dolls, puppets – and so on. Open 7 days a week from 10am to 4pm. 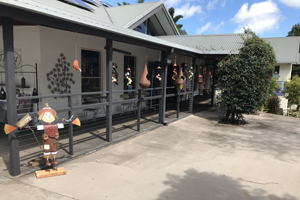 This entry was posted in Gallery Walk, Gallery Walk East and tagged Gallery Walk, national parks, Tamborine Mountain, Tamborine Shopping, The Quillo Shop on July 1, 2014 by admin. Jewellery, Paintings, Ceramics, Artefacts! 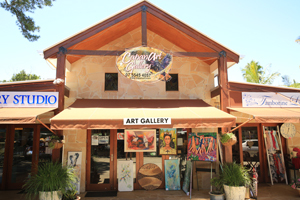 “Modern Classic” proudly stocks contemporary metal wall art pieces, abstract animal figures, table centerpieces, modern and art decor mirrors, model cars, original local wildlife paintings, locally made wood items, beautiful glass figurines of animals, dragons and fish and the list goes on! A real treasure trove! Open 10am to 4pm 7 days a week. This entry was posted in Gallery Walk, Gallery Walk West and tagged Gallery Walk, Gift boutique store, Modern Classic, Tamborine Shopping on July 1, 2014 by admin. All handmade crafts and gifts! 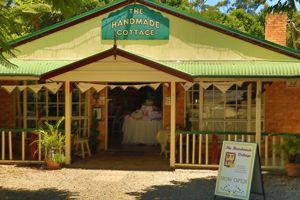 “The Handmade Cottage” brings back handmade craft to Gallery Walk in a quaint country cottage at the fig tree end of “Gallery Walk” featuring the quality work of local and South East Queensland craft persons. 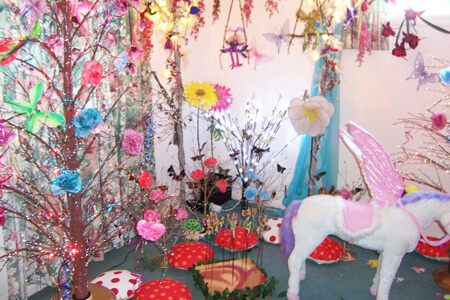 Inside you will find a full range of handmade gift items such as dolls, coathangers, gift cards, lamps, wall hangings and many more. Open 7 days a week, from 10am through to 4pm. 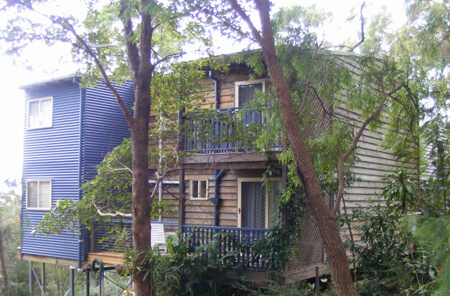 This entry was posted in Gallery Walk, Gallery Walk West and tagged Gallery Walk, Gold Coast, gold coast hinterland, handmade cottage, mount tamborine on July 1, 2014 by admin. Foodies – Your heaven awaits! Our aim at “Mount Tamborine Vineyard & Winery” is to provide the ultimate cuisine and fine dining experience by combining exceptional local produce with our award winning Queensland wines. Open every day from 10am to 4pm. This entry was posted in Gallery Walk, Gallery Walk East and tagged cellar door sales, Gallery Walk, Mount Tamborine Vineyard & Winery, vineyard restaurant, winery on July 1, 2014 by admin. Fashion with a difference! “Whispers Fashion House” offers gorgeous fashion from French and Australian designers, beautiful jewelry and selected accessories. Our extensive ranges of quality fashion, shoes and accessories are carefully selected to cater to a wide variety of age groups, lifestyles and budgets. There’s always something new at Whispers Fashion House. 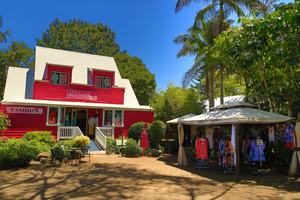 This entry was posted in Boutiques and Fashion, Gallery Walk, Gallery Walk West, Shopping and tagged Gallery Walk, gold coast hinterland, Tamborine Mountain, Tamborine Shopping, Whipsers on Tamborine on July 1, 2014 by admin. Gifts and Novelties! 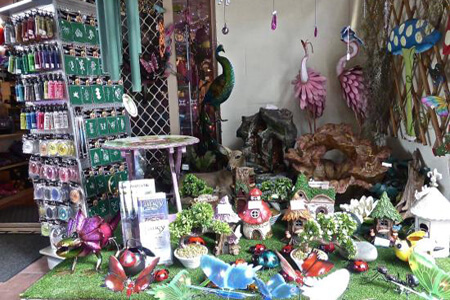 “Nels on the Walk” sell gifts and home wares including beautiful hand painted tiles, funky tin figures and large brightly colored animals created from recycled oil drums from Africa, toys and puzzles, watches and jewellery, just to mention a few of our exciting lines. “Love Lavender” is an extension of “Nel’s on the Walk” where you will find a beautiful range of lavender products and napery. Open 7 days. This entry was posted in Gallery Walk, Gallery Walk West and tagged activities, Gallery Walk, gold coast hinterland, national parks on July 1, 2014 by admin. Bringing you flavors from around the world! 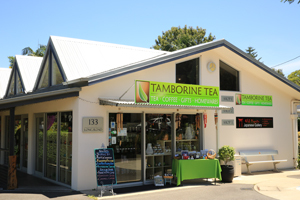 “Tamborine Tea” offers Australia’s largest range of over 270 delicious loose leaf teas from all around the world. We always do our best to source the best teas, herbal infusions, spicy chais and fruit tisanes. And it’s not just tea, the range of tea pots, tea sets, tea accessories, gifts and home wares, coffee beans etc. needs to be seen to be believed. Open 7 days a week from 10am to 4pm. This entry was posted in Gallery Walk, Gallery Walk West and tagged Gallery Walk, Tamborine Mountain, Tamborine Shopping, tamborine tea on July 1, 2014 by admin. This is coffee! “Cafe Bravo” for GOOD coffee and tasty modern cuisine at very reasonable prices. Breakfast & Lunch everyday, dinners on the weekend. Check out the daily specials of our delicious cakes and homemade scones! Takeaway is also available for your convenience. Enjoy, relax and have a great time with your families and friends! Open Mon to Fri from 9am, Sat and Sun from 8am. Dinner Fri and Sat from 5.30pm. 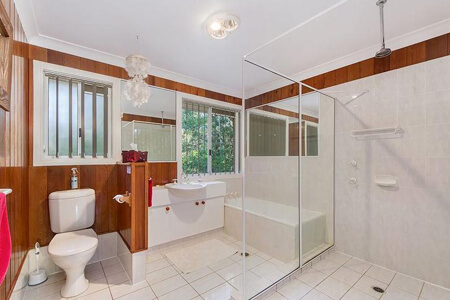 This entry was posted in Gallery Walk, Gallery Walk West and tagged Cafe Bravo, Eating Out, Gallery Walk, mount tamborine, Tamborine Shopping on July 1, 2014 by admin. The best seafood restaurant! At “George’s Paragon” we work hard to ensure the right combination of good food, friendly service and atmosphere that makes dining a pleasure. Whether you choose lunch or dinner you can be assured of an experience to remember. Make a booking and see why thousands of diners choose our restaurants every week. Lunch half price, dinner half price if seated between 5.30pm and 6.30pm. This entry was posted in Gallery Walk, Gallery Walk West and tagged Eating Out, Gallery Walk, Georges Paragon, gold coast hinterland, Tamborine Shopping on July 1, 2014 by admin. Try our “ADULTS ONLY” fudge! “Fudge Heaven” is well known for its alcoholic ADULTS ONLY fudge, using famous ingredients such as Baileys and Kahluah – YUMMY! Also try the other exciting flavors such as mango cream, coconut ice, creme brulee and caramel, to mention just a few! 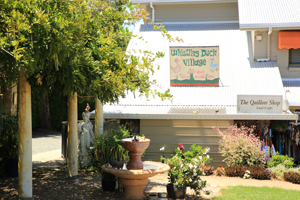 Winner of the “Best Fudge in Australia” award from their first year of operation 2005 through to 2011. Icecream, soft drinks, hot nuts. Open 7 days. 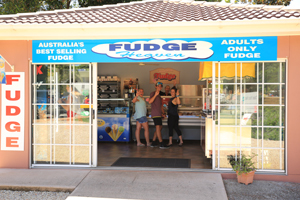 This entry was posted in Gallery Walk, Gallery Walk East and tagged Fudge Heaven, fun shopping, Gallery Walk, Tamborine Mtn on July 1, 2014 by admin.